Minnesota Archaeology Month (MAM) continues this weekend with a couple of events in the Little Falls area. 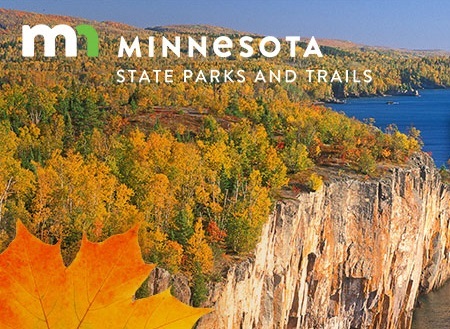 Tonight (9/15/2017) Jim Cummings will present a program on the archaeology in Minnesota’s State Parks as part of the Morrison County Historical Society annual meeting. On Saturday as part of the Camp Ripley Open House Patrick Neumann provide a display about the archaeology within the military reserve along with demonstrations on how artifacts were made and used. Also on Saturday (9/16/2017) at the McLeod County Historical Museum in Hutchinson the folks from Maritime Heritage Minnesota will present a program on dugout canoes that have been found in Minnesota. 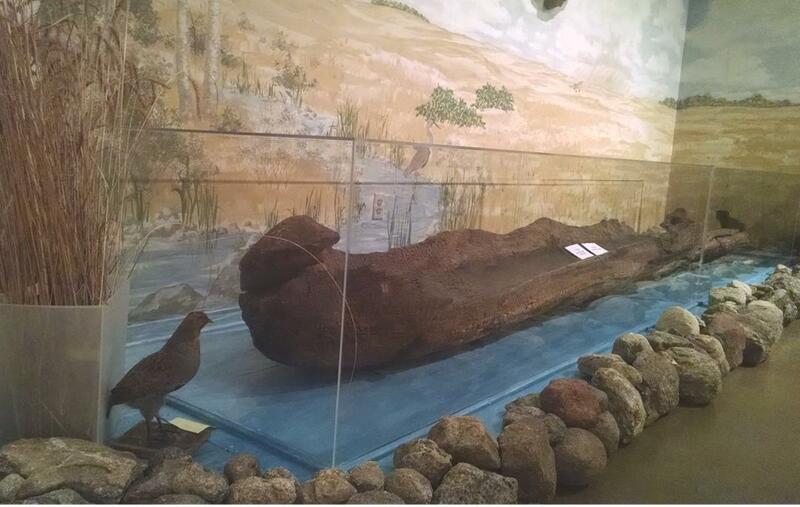 The presentation will focus on the dugout canoe in the museum there in Hutchinson. 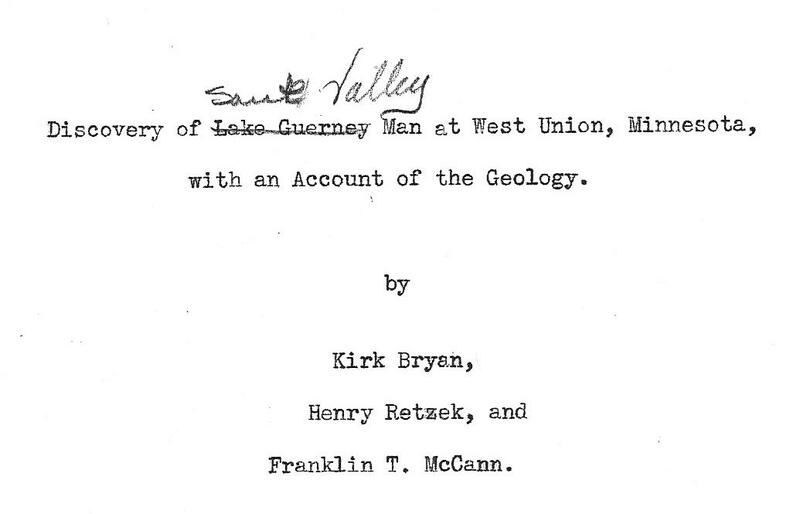 That same Saturday the Sidewalk Bar & Grill in West Union will be the location for a presentation by David Mather of the Minnesota Historic Preservation Office on the Sauk Valley Man who was discovered nearby in 1938. David’s discussion will focus on how interpretation of this site has changed through time. Minnesota Archaeology Week 2016 begins this weekend September 10 and runs through September 18. Check out the calendar of events at http://mnfieldnotes.com/wp-content/uploads/2016/09/Event-Calendar-8-30-16.pdf Click on the poster above for a closer look. 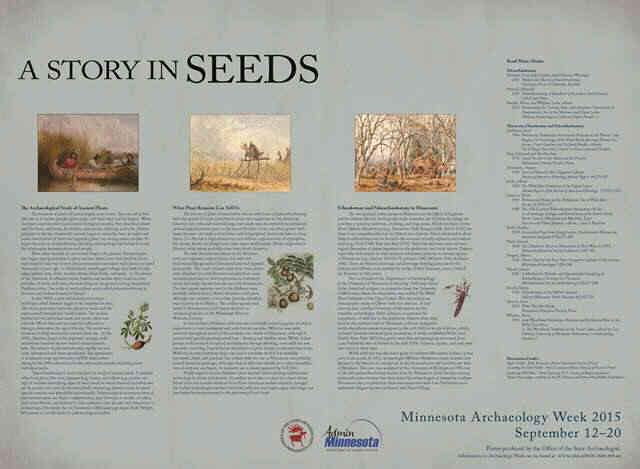 The Minnesota Office of the State Archeologist has posted the calendar of events for Minnesota Archaeology Week September 12 – 20, 2015. Follow this link. The calendar is updated as new events are received or if there is a change to those previously listed so check it regularly. 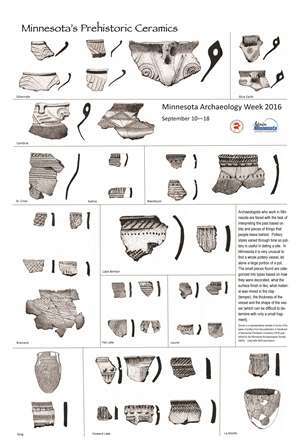 You can also download a PDF version of the Minnesota Archaeology Week poster here. 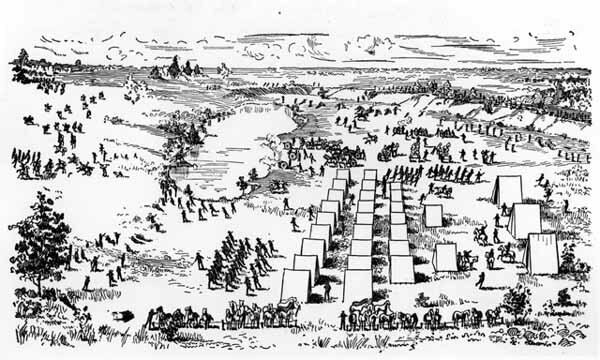 Archaeological work to be completed at the Wood Lake Battlefield by Sigrid Arnott Consulting, LLC for the Wood Lake Battlefield Preservation Association will be the subject of a one-day public archaeology event to be held on the site September 12, 2015 from 1 to 5 pm. The study plans to identify archaeological features, recover archaeological artifacts, and interpret the findings within the context of the larger Wood Lake Battlefield historic site. The study will rely heavily on state-of-the-art non-invasive methods including: analysis of aerial laser scanning data to model terrain elements in 3-D, forensic analysis of ballistics, systematic metal detection and mapping of buried artifacts and features identified using subsurface geophysical methods. During the event Dr. Douglas Scott will discuss conflict archaeology and demonstrations of the high-technology archaeological methods used during the survey will be conducted. For additional information and directions follow this link. This coming Friday, July 24, 2015 is the “Day of Archaeology” event. The Day of Archaeology is a social media event to help the public understand all that archaeologists do. “The Day of Archaeology project aims to provide a window into the daily lives of archaeologists from all over the world. The project asks people working, studying or volunteering in the archaeological world to participate with us in a “Day of Archaeology” each year in the summer by recording their day and sharing it through text, images or video on this website. The resulting Day of Archaeology project demonstrates the wide variety of work our profession undertakes day-to-day across the globe, and helps to raise public awareness of the relevance and importance of archaeology to the modern world. We want anyone with a personal, professional or voluntary interest in archaeology to get involved, and help highlight the reasons why archaeology is vital to protect the past and inform our futures.” Follow this link to see what the world’s archaeologists are up to or to participate by making your own entry. Swede Hollow Archaeology. This summer, in August 2015, Swede Hollow Park, in the East St. Paul neighborhood, will be the site of an archaeological excavation and the public is invited to come out and participate! Come ask questions, take a tour around the site, and watch a real excavation, or better yet, participate in one! 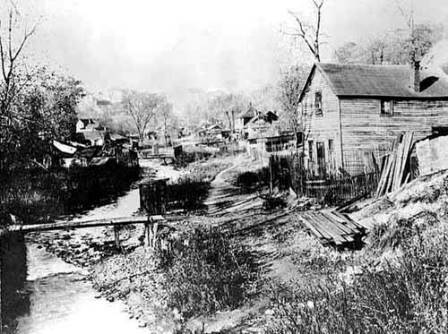 Stay tuned for important dates and details and for fun facts relating to Swede Hollow and its historic neighborhood as preparations for this summer’s work gets underway! The project is organized by two graduate students from the University of Minnesota. They have a Facebook page and a blog detailing the Swede Hollow Archaeology project check them both out and then visit the excavations or volunteer to help. Minnesota Archaeology Week, September 12 – 20, 2015. The Office of the State Archaeologist has announced the dates for this year’s Minnesota Archaeology Week and is looking for individuals or organizations who might consider sponsoring, organizing, hosting, or leading an event during the week. Follow this link for additional information. Hope you all survived the holidays, here are some events to add to your calendar for this year. On February 13 and 14 the Council for Minnesota Archaeology will hold is biennial conference at the Atwood Memorial Center on the St. Cloud State University campus. Plans to this point include a mixer on Friday evening at the Stearns History Museum from 5 to 8 pm with snacks and refreshments. Artifact collections from the 19th Century Little Elk River Mission and Shoemaker sites and from the precontact Knife Lake sites will be on display. 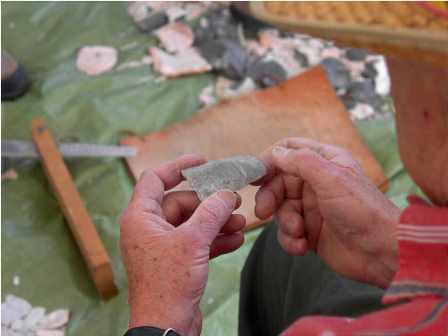 There will also be a rock swap of lithic samples. On both Friday (13) and Saturday (14) the paper and poster sessions will be held at the Atwood Memorial Center on campus. A final schedule will soon follow. If you have questions you can contact Mark Muniz at mpmuniz@stcloudstate.edu When the final schedule is available it will be posted on this site. 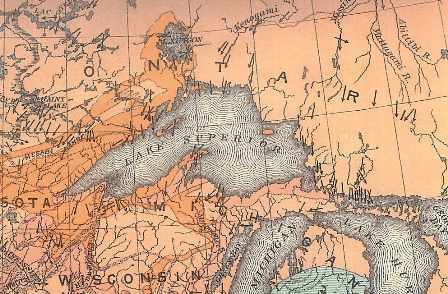 The 2015 Lake Superior Basin Workshop (LSBW) will be held on Friday/Saturday March 20 and 21 at Grand Portage National Monument. The LSBW has a long tradition of informal displays and discussions of archaeological interest. The attached flier has more information and a map; to reserve tables for displays or other information, contact Bill Clayton at william_j_clayton@nps.gov or by phone to 218-475-0123. And finally the Office of the State Archaeologist has announced the dates for Minnesota Archaeology Week, 2015 as September 12 – 20, 2015.